Why is Mental Health Stigma Still an Issue in the Workplace? Recent figures show that only one third of workers who experienced a mental health problem in the last five years felt well-supported by their managers. Line managers routinely overestimate how well their workplace supports staff’s mental health and wellbeing, and less than a fifth of workers with mental health issues said they actually received the kind of support that would help them to remain in work. But why is this happening? Well, there’s a perception that those with mental health problems won’t be able to cope with workloads and the stresses and strains of the workday, which stops people discussing their health issues with anyone at work. There’s also an erroneous belief that those who suffer with mental health issues are simply using it as an excuse to get off work. There’s also a fear of the gossip, pressure and bad-treatment from colleagues who see an employee with mental health issues as being ‘deadwood’ to a company, all of which culminate to add to the stigma surrounding mental health. One thing employers could do to de-stigmatise mental health issues in the workplace is to enable employees to remain in work with adjustments to their role. This is already a requirement under health and safety law, with employers being subject to a general obligation to take reasonable care for the health and safety of employees in the workplace, which means they have a duty towards people who may have mental health issues. Employers also have a legal duty not to discriminate because of a person’s disability (and in some cases, mental health issues can constitute a disability). However, it’s clear that there needs to be more flexibility than the law currently has the power to enforce, such as making an alteration to responsibilities where appropriate, or an adjustment to contracted hours or place of work. Both these solutions could go some way to closing the gap between duty and what happens in reality. And, while there’s no magic software solution or technological shortcut to improving a culture of understanding mental health or tackling mental health issues directly, investing in the right infrastructure could free up HR professionals to innovate and focus their attention to other things, including mental health. Employers ought to start investing in HR services on a larger scale, including the use of software to automate processes, as this could ensure HR professionals have time and capacity to focus their attention on matters as pressing as mental health. In addition, employers could reduce stigma around mental health by encouraging their employees to prioritise their own mental wellbeing, which means offering more sick days at full pay, preventing burn-out and achieving a healthy work-life balance. This might require better resourcing, a review to the number of sick days issued to staff, and a company culture of taking lunch breaks and leaving the office on time: a pipe dream for many, perhaps, but a major step towards looking after the mental health of all employees. Open communication is also required, as a lack of communication and understanding is perhaps the largest source of stigma around mental health in the workplace. This might mean holding learning lunches on the subject, organising training from external agencies, making support from mental health professionals available or even subsidising treatment such as counselling services. Furthermore, much of the stigma around mental health in the workplace could be reduced by enabling mangers to help others. This will require training managers so that they feel confident supporting their team, recognising mental health issues and knowing how to communicate confidently about them. Chris O’Sullivan, head of workplace mental health at the Mental Health Foundation even suggests encouraging those who have relevant experience to use it to support others. For example, he suggests that it might be valuable for managers to share their lived-experience of dealing with mental health issues. Whether or not this is a solution to de-stigmatising mental health depends on a manager’s willingness to share their experience, (and there certainly shouldn’t be any pressure placed on managers to do so), as respect for their privacy and facilitating the separation of their personal life from their work life is key. Managers should only be encouraged to share their personal experiences if they are genuinely willing to do so. Finally, employers need to work on the gap between policies regarding mental health and the actual everyday experiences of employees. Can a business truly be said to be aware, understanding and accommodating of mental health issues if their staff are routinely overworked, stressed, under-resourced or over-burdened? Is their sufficient provision for sick days, and would a mental health issue be challenged, sneered at or simply not accepted if someone called in sick for depression, anxiety or a similar mental health issue? Do you have the correct RPE? RPE (Respiratory Protective Equipment) really is the first thing to put in place when dealing with environments or tasks that may affect respiratory health. Let’s say your business works on the railway and deals with ballast dust – this can cause serious respiratory issues because of the Respirable Crystalline Silica in it. Therefore, dust masks are essential when working with such conditions. For men, shaving is recommended when wearing a dust mask to ensure the seal is effective. The correct PPE for the job can significantly minimise the risk of poor respiratory health at work. Are ventilation measures in place? If your employees are completing tasks in a small or closed area, then adequate ventilation is paramount. Ensure windows and doors are open to allow airflow if possible, or install filters designed to reduce the amount of hazardous substances in the air. Are you aware of the symptoms of skin and respiratory sensitisers? It’s important you can recognise when members of staff are becoming sensitive to their working environment. Symptoms usually include wheezing and tightness of breath, coughing and dermatitis. If anyone is displaying these symptoms you must restrict the amount of time they’re working in the contaminated environment and ensure they seek medical attention immediately. Have your staff had training? It’s essential that your staff are trained on how to conduct themselves in workplaces where respiratory issues may arise. Ensure they undertake training regularly and are instructed on any new measures that may come into force over time. As an employer, you have a legal duty to ensure your staff are protected at all times. The Control of Substances Hazardous to Health Regulations 2002 (COSHH) require an employer to regularly assess your worker’s exposure to substances, check that control measures are securely in place, and require you to decide which precautions to take to prevent harm. You are also obliged to present your workforce with a copy of any COSHH assessments conducted by your business. These assessments should be carried out regularly. Respiratory health is important. You must ensure you are doing all you can to minimise risk and protect your employees from serious issues as a result of exposure to hazardous substances in their working environment. Take note of this list of things to keep in mind and ensure you and your workforce are protected. Equipment – Ensure that all staff have access to suitable equipment for them to be able to complete their tasks. Provide staff with carts and trolleys and equipment fitted with castors to make operations more efficient and improve safety. Click here to see the types of castors available for use in the workplace from Tente. Different types of castors are suitable for specific jobs. Staff may also need to be provided with items such as safety goggles, helmets, steel-capped boots, high visibility clothing and much more, depending on the task. After equipment has been provided it must be regularly checked and maintained to keep it safe to use. Put up signs around the workplace to remind people they must wear the equipment when required. Training – Training is an essential element for any business, especially when it comes to keeping all your employees safe and if their job has potential risks of injury. The most basic training that should be completed on a regular basis is first aid. It is important that all staff are adequately trained in emergency procedures. Prepare written instructions and work practices so that all employees have a reference point for completing tasks once they have finished their training. Make sure that staff are supervised and regularly monitored to check that they are performing tasks properly and safely. Planning – Assessing risks to employees is a crucial aspect of identifying hazards in your workplace. Once hazards are established it is easier to develop a safety plan. From this initial assessment it will be clear what needs to be done to ensure that the workplace follows correct procedures. Once your safety plan has been formed and shared with your staff it will be necessary to regularly check all areas of the workplace, including equipment and staff. Have regular staff meetings and discussions where health and safety matters are addressed to encourage employees to share their thoughts as they may have spotted something you have not thought about. Monitoring – When incidents occur, even if they are minor, you will need to conduct an incident investigation to help determine why it happened so that you can take steps to ensure it does not occur again. Make sure that records are kept for all first aid treatment, inspections, incident investigations, and training activities. This information can help you and your business to identify trends in unsafe conditions or work procedures and help you take steps to reduce any further risks. Magical thinking or evidence-based policy? The Green Paper on Work, Health and Disability was published online late afternoon of Monday 31st October. The DWP had been briefing since the Saturday before, that a major reform was proposed to the Work Capability Assessment and that all the evidence was that work is good for people’s health. Newspapers and television news highlighted the proposals but no-one actually saw the document until news media had been running the DWP storyline for almost 48 hours The BBC initially intended to film some interviews at a London disabled people’s organisation on Monday afternoon but cancelled it as by then the story was no longer news. The consultation on the Green Paper is running until 17th February, long enough for individuals and organisations to get to grips with what is really being proposed. I’ve focussed in this blogpost on three important contentions made in the Green Paper, on which some of its proposals are based. I’ve tried to get behind the spin which accompanied its launch to see what exactly is being proposed. Contention No 1: There is a causal relationship between work and health, such that if someone moves from unemployment into work their health will improve. The Green Paper opens with the statement that “The evidence that appropriate work can bring health and wellbeing benefits is widely recognised”. The reference for this is the major review of evidence, published by the DWP in 2006. …….whilst work is good for health in most circumstances, the type of work matters. Many factors such as autonomy, an appropriate workload and supportive management are important for promoting health at work. This reflects the conclusions of the 2006 review. The Green Paper could also have drawn on more recent longitudinal research from Australia which found that low paid, insecure jobs, characterised by a lack of control, were associated with poorer health than that found amongst those people who remained out of work. Getting a high quality job after being unemployed improved mental health by an average of 3 points, but getting a poor quality job was more detrimental to mental health than remaining unemployed, showing up as a loss of 5.6 points. This is an important finding, particularly bearing in mind the conclusion of the DWP’s 2006 literature review that: “After leaving benefits, many claimants go into poorly paid or low quality jobs, and insecure, unstable or unsustained employment. Many go on to further periods of unemployment or sickness, and further spell(s) on the same or other social security benefits”. Unfortunately, the tone of the rest of the paper and its proposals assume a straightforward unilinear relationship between being in paid employment and good health, as illustrated by what the DWP calls an ‘infographic’ on page 4 of the Green Paper. This shows two circular relationships, good health and work on the one hand and worklessness and poor health on the other. The Green Paper would have been more accurate if it had concluded that, while paid employment can increase your standard of living, social interaction and self-esteem, it can also be bad for your health and can create or worsen illness or impairment. Whether work is good for your health will depend on your state of health and the nature of the job. As, according to the DWP’s own evidence, people leaving benefits often go into poor quality jobs, they are less likely than the average person to find that paid employment has a good impact on their health. Contention Number Two: Withdrawal or reduction of income (or the threat of withdrawal) will increase entry into employment. The payment of out of work benefits has always been conditional but since 2010 the conditions have increased and withdrawal or reduction of payment can now last from four weeks to three years.The assumption is that this threat of, or the actual experience of, withholding income will make it more likely that a person will take steps that increase entry into employment. The recent decision to reduce, by almost £30pw, the money paid to people who have been assessed as being unfit to work but able to take on work related activity (the ESA Work related activity group) is based on the same assumption: the DWP claimed it will “remove the financial incentives that would otherwise discourage claimants from taking steps back to work”. In an earlier blogpost I examined the evidence that DWP relied on to make this claim. It’s worth reiterating that there is no evidence of a causal relationship between a reduction in benefit levels and an increase in employment amongst disabled and sick people. The poor must manage sporadic income, juggle expenses, and make difficult tradeoffs. Even when not actually making a financial decision, these preoccupations can be present and distracting. The human cognitive system has limited capacity. Preoccupations with pressing budgetary concerns leave fewer cognitive resources available to guide choice and action. The Behavioural Insights Team is an organisation originally set up by the government (the ‘Nudge Unit’) and still partly owned by them. This study was carried out in partnership with the Cabinet Office. We would normally expect their conclusions to be treated seriously but that does not appear to be the case in this instance. The Green Paper indicates an intention to reduce the numbers of people in the ESA Support Group. These are people who have been assessed as having limited capability for employment and also limited capability for work-related activity – meaning that they are exempt from complying with requirements to take ‘steps back to work’. Concern that there are ‘too many’ people claiming this type of benefit dates back to the 1990s when Invalidity Benefit was replaced by Incapacity Benefit. A series of changes since then in the method and process of assessment have not had the desired effect of reducing numbers qualifying for long term sickness and disability benefit. The Green Paper proposes yet another change in the assessment regime and an extension of ‘employment support’ to people who have been assessed as not able to either work or to engage in work-related activity. Instead of one assessment (the Work Capability Assessment) there would be two: the WCA would assess financial entitlement and then everyone on ESA, whether in the Support Group or not, would be subject to a “separate process” which would decide whether “someone should engage with Jobcentre Plus or specialist programmes”. People would be required to have continuing contact with a ‘Work Coach’ who: could have full discretion to tailor any employment support to each individual claimant. This approach would be truly responsive, allowing the work coach to adjust requirements and goals dependent on changes in a person’s condition or circumstances. While Damien Green previously announced that those in the Support Group would not have to undergo repeated WCA assessment, this new system could potentially require repeated and continuing ‘discretionary’ assessment by a work coach as to what a person should be required to do. So let’s look at whether there is any evidence that the ‘support’ to be offered by this new system is likely to increase employment amongst disabled people or people with long-term health conditions. The first thing to point out is that the assumption underpinning the Green Paper’s proposals is that people who are unfortunate enough to experience ill health and/or disability and unemployment are not capable of – or are not to be trusted to – make decisions in their own best interests. Instead it is the role of a State employee or contractor to do this. So the Paper proposes that “trained work coaches could have discretion to make case-by-case decisions about the type of employment support a person is able to engage with” (para 132). The second thing is that anyone entering this system gives up all right to privacy about personal information held on them by the “NHS, the adult social care system or through other benefit applications, such as from a Personal Independence Payment application” as the assessment for financial support (the current WCA) and the work coach would draw on these sources of information (para 135). A third point is that the employment support programmes have not in the past been very successful at helping people on long-term out of work sickness/disability benefits to find and retain paid employment. Only 12.5% of ESA new claimants on the Work Programme get a job outcome within two years. The equivalent figure for people moving onto ESA from Incapacity Benefit is 4.7%. Work Choice, the specialist programme aimed at disabled people has a higher rate of success but less than 1 in 5 of participants are on ESA with the majority being on Job Seekers Allowance, so the programme has not proved its effectiveness with people on ESA. As the government has previously announced, the Work Programme and Work Choice are being discontinued and replaced with a new Work and Health Programme. However, this will only have 20% of the funding previously invested in employment support. This “wider, integrated system of support’ is called Universal Support and is intended to “assist people with their financial and digital capacity throughout the life of their claim”. It is unlikely therefore that there will be sufficient assistance available through the specialist employment support programme. And Universal Support is unlikely to be of much assistance in terms of helping people to navigate the complexities of the system. So what will be offered to people in the Support Group as part of the ‘claimant commitment’? 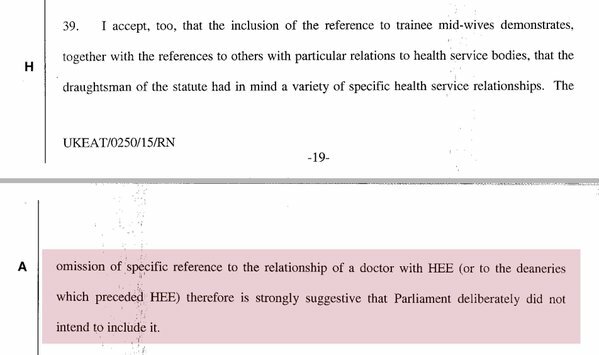 The Green Paper does not spell this out explicitly but it would seem that the intention is that Work and Health coaches will decide what kind of health-related intervention someone needs. How long before part of the ‘claimant commitment’ includes a requirement to participate in a ‘health intervention’ of some kind and sanctions are attached to non-compliance? It isn’t really employment support that is on offer – rather we are on the road to a situation where people who are too ill or disabled to work are required to subject themselves to health interventions that an employee (or contractor) of the DWP decides is good for them. It’s important that responses to the Green Paper home in on what is actually being proposed, rather than merely respond to the questions posed by the DWP. The proposed changes are merely the latest in a long line of attempts to reduce the numbers of people qualifying for long-term out of work sickness/disability benefits. If the assumptions on which the proposals are based are not backed up by evidence then they will be unlikely to have any more impact on reducing the disability employment gap than their predecessors. Magical thinking refers to the false attribution of causal relationships. In the context of psychology it refers specifically to the belief that one’s thoughts by themselves can bring something about – or that thinking something is the same as doing it. Not only does this Green Paper ascribe a fallacious unilinear causal relationship between work and health, but it replicates a common feature of government policy – the assumption that saying something will happen makes it happen. This is the fourth time in my engagement with social policy that a government has complained about the number of people ‘languishing’ on long term out of work benefits. The fourth time that proposals are made which will supposedly reduce these numbers. Any bets on how soon we will see a fifth? A workplace hazard is anything that could cause a potential harm, injury, illness and even death to a person. Hazards are present in every workplace, so it is important that you know how to identify possible hazards at your workplace to be better prepared to control or eliminate them. Dangerous Goods which present an immediate hazard to people, property or environment due to its physical, chemical or acute toxicity properties. Spotting agents such as amyl acetate, acetic acid, hydrofluoric acid , aqueous ammonia and oxalic acid. Change in mental condition which results from stress, traumatic experience and exposure to solvents. Prevention is better than cure. Since you have already identified the possible sources of hazards at work, you may follow the steps below on how to prevent hazards at the workplace. All hazardous products must be properly labeled to clearly identify the product and provide hazardous information about it. Every employee should be provided with up-to-date education program to be able to understand the possible hazard substances and how to avoid the dangers that they could cause. Implement safe work procedures and appropriate and effective administrative and engineering controls. Responding to Hazards.The severity of the damage of workplace hazards depends on how soon the victim is responded. Take these notes in mind if a staff member has been injured. Managing hazards.A safe workplace is expected to be provided to all employees to ensure that they work at their optimum potential. No one wants to work in a place where they feel that they are not safe and could be in danger any time. Read on to see tips on how to manage hazards at the work place. Once the causes of hazards at the work place and its possible remedies have been identified, you can ensure that you provide a safe and conducive work place to your employees. Hiring an experienced workers comp attorney could cost a lot so make sure that you eliminate possible danger and injury at work. Jeremy Hunt claims to be on the side of patient safety, especially when it comes to hosting international conferences on the subject. The Department of Health have just released a video where he shows off “140 avoidable deaths” per week, but there’s no idea where the latest statistic has come from. He could have done another misinterpretation job – like he did with ‘that’ BMJ paper. There has been much concern about whether the Public Interest Disclosure Act (1999) as a statutory instrument is essentially “fit for purpose”. The general consensus is that it isn’t. Will the new Work and Health Programme primarily target the ESA Support Group? In the UK many disabled people want to work but are trapped on what remains a broadly passive system – almost three quarters of claimants who have had their Work Capability Assessment (WCA) are in the support group with no requirement to engage with, and little access to, support services. As the Organisation for Economic Cooperation and Development has argued: “what is needed is to bring the disability benefit scheme closer in all its aspects to existing unemployment benefit schemes”. We confirm we’ll extend the same support and conditionality we currently expect of those on JSA to over 1 million more benefit claimants…we’ll increase in real terms the help we provide to people with disabilities to get into work. When ESA was introduced it was expected that “the vast majority” of claimants would be subject to “a clear framework of rights and…responsibilities” – a minority of claimants would be in the support group. Instead, almost three quarters of claimants who have had their assessment are in the support group and subject to no conditionality, with very little support to return to work. This will have to change if the Government is to achieve its ambitious pledge to halve the disability employment gap. We will aim to halve the disability employment gap: we will transform policy, practice and public attitudes, so that hundreds of thousands more disabled people who can and want to be in work find employment. We will help you back into work if you have a long-term yet treatable condition. We will make sure the hardest to help receive the support they need for a fulfilling life. With limited access to employment support and no work-related conditionality, people in the support group are completely detached from the labour market…This is bad for the individuals, society and the wider economy. We need to be relentless in our efforts to get more people into work and off welfare…that means getting 1 million more disabled people into work. The poor quality of support they receive leads too many sick and disabled people languishing in a life without work, when work is actually possible for them. Under Universal Credit, people can expect early and continued support about what work they can do and what support they need to do it, until they leave the benefits system. The vision for a single allowance: In practical terms, a single out-of-work allowance would mean removing the support group component, or in UC, the LCWRA element. [LCWRA is Limited Capability for Work Related Activity]. The ‘Limited Capability for Work-Related Activity’ descriptors only require one to be satisfied for admission to the ESA support group… 60 per cent of those in the support group have been on ESA for more than two years. Removing the work‐related activity component in Employment and Support Allowance [ESA] and the limited capability for work element in Universal Credit. The Bill’s third reading in the House of Commons took place on 27 October 2015. Speaking on behalf of the Government, the Minister for Employment, Priti Patel: “Our welfare reforms are focused on transforming lives by helping people to find and keep work. We are focused on boosting employment and ensuring fairness and affordability, while supporting the most vulnerable, and on making sure that people on benefits face the same choices as those not on benefits and in work”. Under Universal Credit, people can expect early and continued support about what work they can do and what support they need to do it, until they leave the benefits system…with ESA becoming part of Universal Credit it is that access and human interface which opens the way for us to re-think the relationship between sickness benefits and work. I want to look at changing the system so that it comes into line with the positive functioning of Universal Credit. A system that is better geared towards helping people prepare for work they may be capable of, rather than parking them forever beyond work. We need a system focussed on what a claimant can do and the support they’ll need – and not just on what they can’t do. The Occupational Health Plan and personal budget – The Proximity to the Labour Market Diagnostic will result in a score which will determine which of four broad employment support and conditionality regimes the claimant will be placed in. If the health questionnaire triggers an Occupational Health Assessment [this] will be used to develop an Occupational Health Plan, which would be accompanied by a personal budget to facilitate implementation. This rehabilitative programme will be co-created by the health professional and the claimant, and the personal budget will be unlocked via a ‘dual key’ – the claimant and their employment adviser – to increase choice and control. For example, a plan might include talking therapies and recreational activities for suffers of mental health conditions. Those with muscular skeletal conditions might receive a course of physiotherapy. Once the plan is agreed, it becomes subject to conditionality. exploring how other mental health services can adopt an IAPT-like approach to service delivery i.e. outcome-focused; with core standards and performance monitoring; and developing datasets to build the evidence-base. appropriately, before rolling it out as part of the UC model. The new out-of-work benefit model laid out in the previous two chapters allows a more personalised approach to conditionality for benefit recipients with a health condition. Effective conditionality helps to ensure claimants are taking the necessary steps to move off benefits and into work, thereby improving their health and wellbeing. People who might benefit from treatment should get the medical help they need so they can return to work. If they refuse a recommended treatment, we will review whether their benefits should be reduced. We will also provide significant new support for mental health, benefiting thousands of people claiming out-of-work benefits. The more than 1.3 million people currently in the ESA support group have been completely written off. Increasing employment levels amongst people with disabilities and health conditions is a key part of the government’s aim to achieve full employment…the benefit system continues to deliver poor outcomes for people with disabilities and health conditions. Universal Credit will provide greater up-front support for claimants with disabilities and health conditions from the start of their claim and enable them to be referred to specialist support from day 1 where appropriate.